July 19th: the Tudor organ made for Bangor University’s Experience of Worship project in 2010 http://www.experienceofworship.org.uk/ was played by Magnus Williamson for the Caius Choirbooks recording, improvising verses in the style of early 16th century English organ music as only Magnus can http://www.ncl.ac.uk/sacs/staff/profile/magnus.williamson. 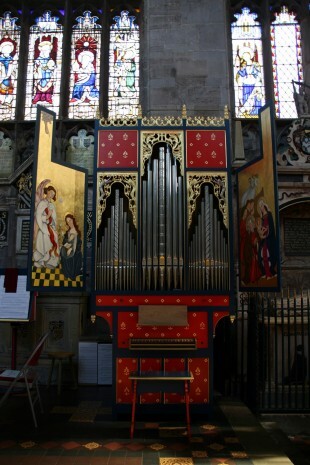 The organ is to be at St Laurence Ludlow for the coming year. See http://www.stlaurences.org.uk/home-section/events-st-laurences for activities.